I have a new favourite sport. 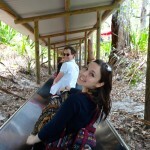 Tobogganing. It’s the most fun you can have sitting down, fully clothed at least.